We exclusively revealed last year that Samsung was working on the Gear Sport’s successor and that it may be called the Galaxy Sport. A new render has been leaked online today which highlights the Galaxy Sport design. Samsung brought its smartwatches under the Galaxy umbrella with the Galaxy Watch. It used to launch them under the Gear brand previously. The same treatment may also be on the cards for its next pair of wireless earbuds. They are likely to be called the Galaxy Buds. This leaked render of the Galaxy Sport is not that different from the ones we saw a month ago. We don’t see a fluted or toothed bezel. The Galaxy Sport will feature a smooth bezel but that’s not going to prevent it from having a rotating bezel. That design element has been a hallmark of Samsung smartwatches for a few years now. The dial itself appears to have a brushed metal finish which extends to the buckle. It looks quite understated yet modern and certainly different from what we’ve seen Samsung do in the past. The render doesn’t reveal much more aside from the Galaxy Sport design. There’s little information about the internal specs of this device. What we do know is that it has been certified by the FCC already with model number SM-R500. You may recall that the Gear Sport was the SM-R600. It’s possible that Samsung has gone back on the model number since it’s changing the moniker. It’s pertinent to mention here that Samsung followed tradition for the Galaxy Watch when that branding was changing. Galaxy Watch has model number SM-R8xx compared to the Gear S3’s SM-R7XX. It will feature 4GB of internal storage and run on Tizen. It will have several fitness features as the device is meant for those who lead an active lifestyle. This makes LTE connectivity a distant dream for the Galaxy Sport, but one can hope Samsung might have a surprise on this front. Samsung has not yet hinted when we can expect this device to arrive. It remains to be seen whether the Galaxy Sport will be unveiled on February 20 with the Galaxy S10 or at MWC 2019 the following week. 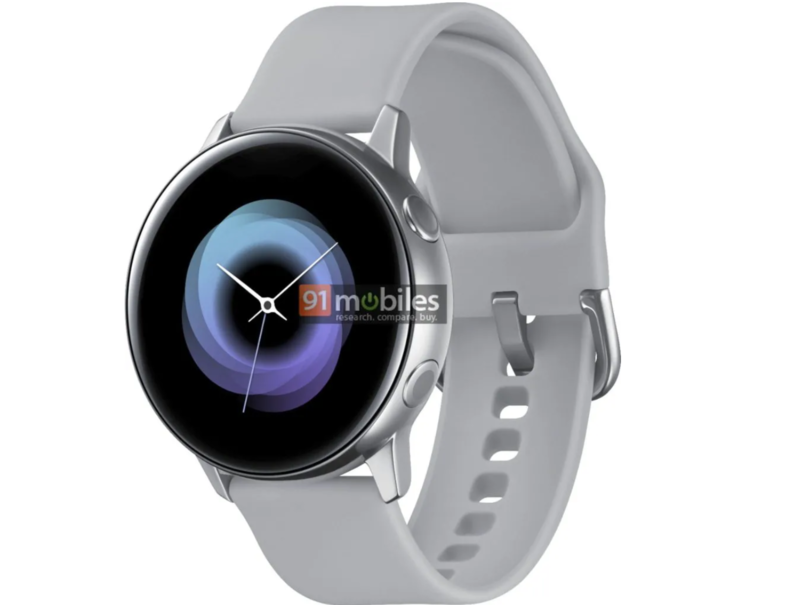 I’m wondering about that lower model number, and looking at this render if it might actually be a budget model to get people more interested in smartwatches. Honestly I think my wife’s Gear Sport looks better than this. This looks a bit cheap and as @ProdByEchelon says, there doesn’t seem to be a rotating bezel. Of course the render may not be accurate.